Mr Chou Cheng Ngok is POPULAR’s Group CEO. Under his able leadership, POPULAR has grown from a traditional Chinese book publisher, retailer and distributor into an established brand and an integrated education enterprise, with operations in Malaysia, Singapore, Greater China, Canada and United Kingdom. POPULAR has been a public listed company in The Singapore Exchange since 1997, and in 2015, it was privatised. The 77-year old publishing veteran is also often known as Mr Popular. Having spent half a century in the industry, his passion still burns strong and is evident in the 12-hour workdays that he has put in for the last 50 years. A keen businessman who possesses an uncanny ability to recognise the potential in book retail, Mr Chou pushed POPULAR to grow successfully after taking over the reins of management in the early 1980s. A man of action, Mr Chou believes in logic and incisiveness. There are no ‘ifs’ or ‘buts’. Under his leadership, POPULAR has witnessed many critical changes. Some may say that the book business is a sunset business, but Mr Chou still holds big dreams for POPULAR—that it will grow with the advancement of learning and education. As long as there are people, there will be interest in reading, and there will be a need for books. Mr Chou grew up in the environment of Chinese bookstores and he saw the important contributions these bookstores had made to the education of generations. Today, he feels that it is his turn to give back to the society. 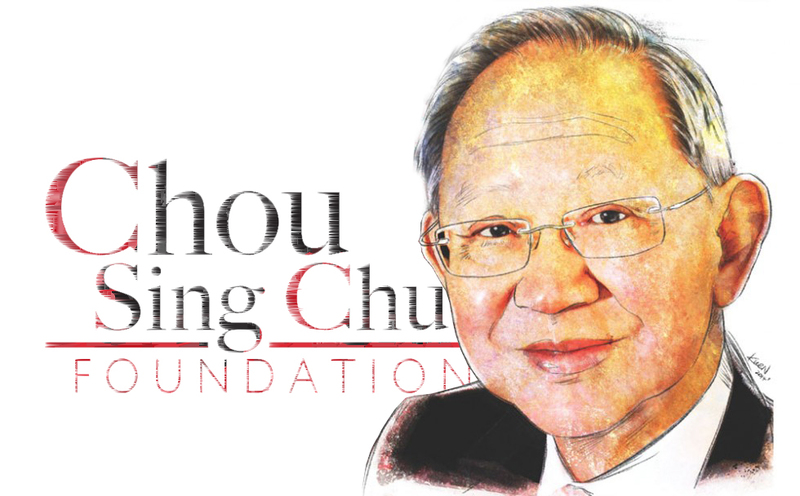 With that desire, Mr Chou set up Chou Sing Chu Foundation in 2004 with a mission to promote Chinese culture, education and language. He hopes that his efforts, no matter how small, will enable future generations to reap all the benefits that this rich culture has to offer.